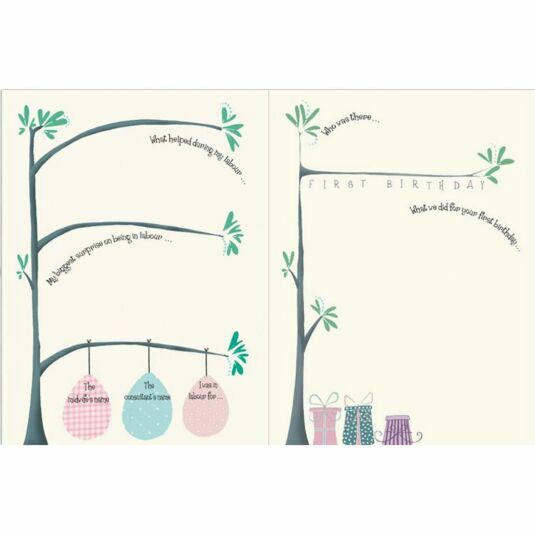 Bump to Birthday is a beautifully designed and illustrated, pregnancy and first year baby journal. 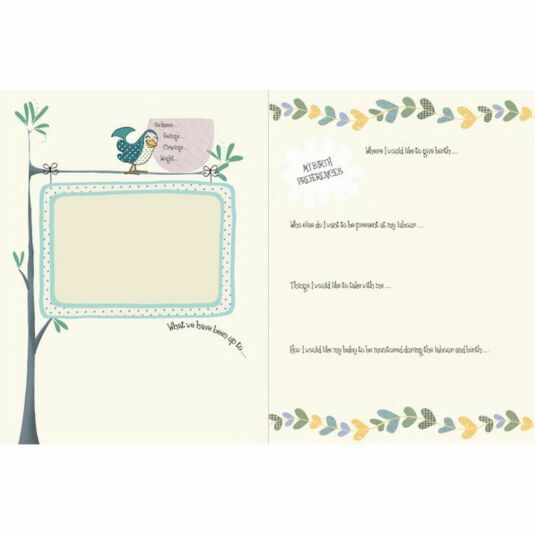 Its well-thought-out design will inspire any parent-to-be to capture the unique story of the journey of pregnancy and baby's precious first year. 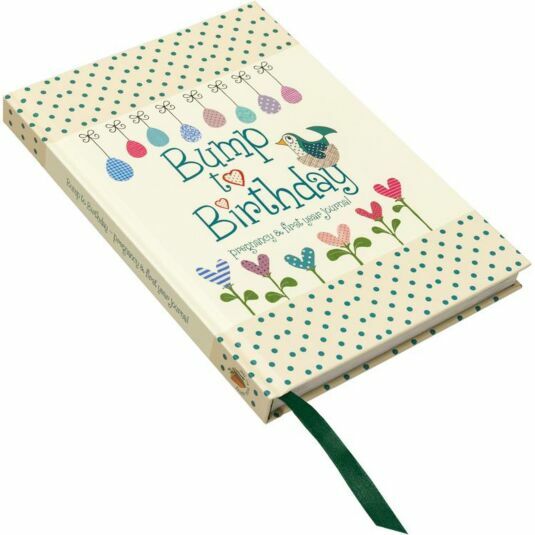 During pregnancy section Bump to Birthday, the journal provides week-by-week information on the developing bump and provides prompts to enable parents to tell their own remarkable story and record unique, unrepeatable experiences - the pregnancy journey, hopes and dreams, the birthing experience and all the special moments with the new baby. 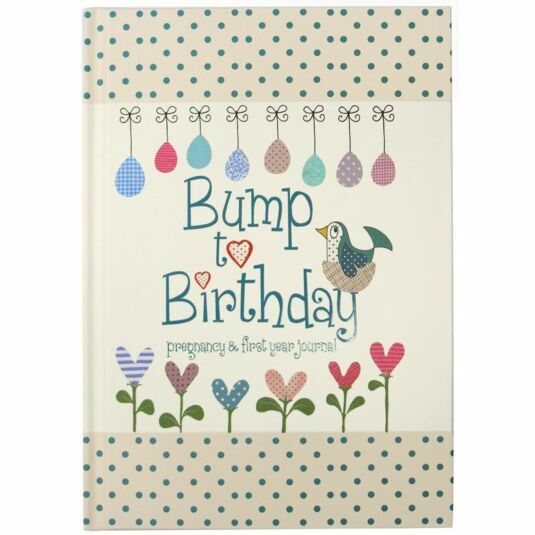 Over the child's first year Bump to Birthday journal helps parents to capture all those firsts, from first movements to first smile, first Christmas to first birthday. 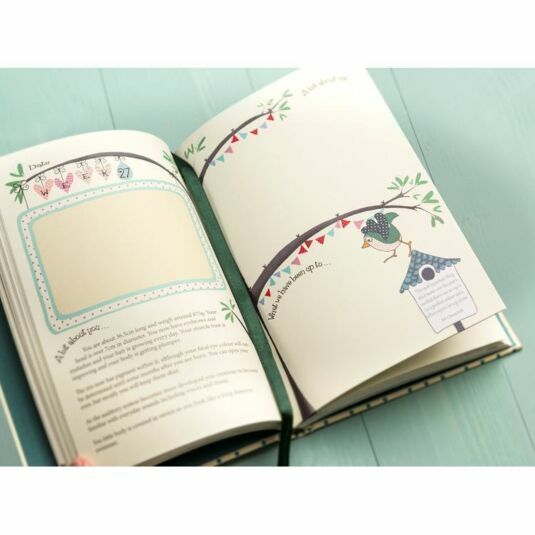 With spaces for photos and scan pictures, it will all be treasured forever in one beautiful journal. 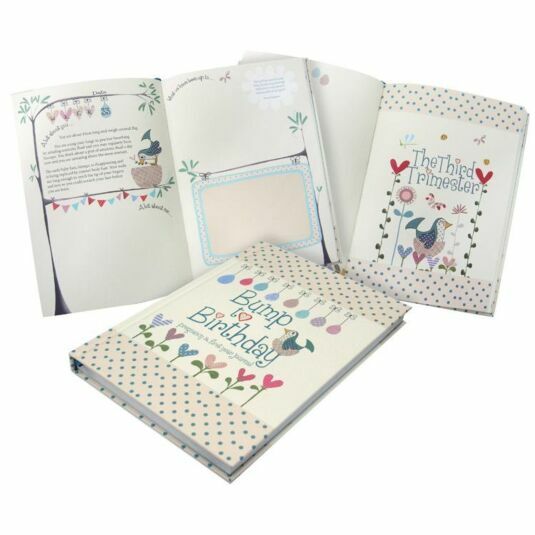 The book is hard back, case bound with a coordinated ribbon marker, size 240mm x 170mm x 20mm with 160 full colour pages made from sustainably sourced 140gsm uncoated paper.